you are building life-long skills. Relevant and connected. That simple exercise forces me to come to terms with what I am doing—and why I am doing it. I may not always be successful (matching content to relevance) but it remains a key concern and planning tool for me. Last week in class, we covered the topics of test preparation and test performance. Early in my teaching career, I tended to lump these two topics together as if they were interchangeable parts; as if they were synonyms. I have come to realize that approach does a disservice to two related, yet distinct, processes. In short, consider test performance as the culminating activity of the two. Just like test preparation, test performance is influenced by many factors that affect how successful you will be when you step into a testing situation. But it comes after test preparation. Test-preparation includes reading, note-taking, organizational strategies, critical thinking, memory techniques, and study time. In short, test preparation brings all of one’s study skills together. It is not—and should not be—a one-time-hurry-up-and-cram-the-night-before-the-exam process. When students methodically apply their study skills during a unit of study, the night before the exam can take on a more relax-and-review feel. When I introduce this next strategy, I tell my students, “This is gold. Write it down!” For the teachers in the crowd (and parents, and mentors, and anyone questioning “why do I need to know this stuff?”) here is a simple three-step process to reinforce the relevance of test-preparation strategies. 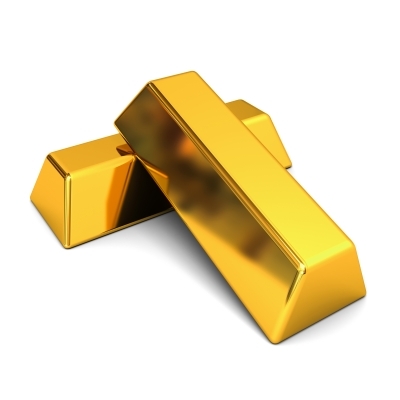 The point—the gold—is that if they can learn and connect these basic strategies for, say, a math exam, they are learning valuable skills that will serve them well in a strategy meeting with an athletic coach, a staff meeting with a work supervisor, or a heart-felt discussion with a loved-one. Consider the following examples. When you effectively use test-preparation strategies, you are not only getting ready for the exam at hand, you are building life-long skills. Relevant and connected. 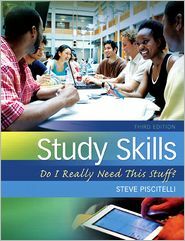 For more on test-preparation and test-performance skills, see my book Study Skills: Do I Really Need This Stuff? 3rd edition (Pearson Education). Please visit my website (www.stevepiscitelli.com), contact me at steve@stevepiscitelli.com, or visit Pearson Education, Amazon and Barnes and Noble. This entry was posted in test preparation. Bookmark the permalink. In order to receive passing grades in my classes, I will take the following actions to enhance my test preparation skills. I will use my calendar and write down my study times for the week ahead. Also ask different students in my class what area of study there strength is in, so I can have a group of people I can go to when I have a difficult topic. I found that breaking up a chapter assigned for reading into smaller sections, and then reviewing my notes before I go over a new section very effective for test preparation. On school campus free tutoring is offered and I take advantage of those services for test preparation. These are some strategies I find helpful.